In the upcoming release of Magento 2.3 Version, a new feature has been added MSI. Multi-Source Inventory(MSI) is based on source inventory management. MSI is the stock management in multiple locations and enables the sellers to reflect their multiple inventory sources in Magento without using or integrating any additional extensions. Before MSI, the Magento was having a single warehouse system ie; catalog inventory. Catalog inventory has two attributes representing the one source – “STATUS” and the other attribute is “QUANTITY” value of the product. 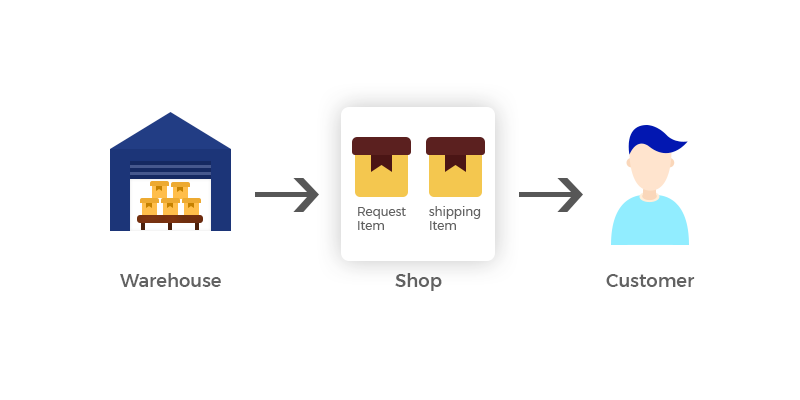 In catalog inventory, the sellers have a single source that manages inventory and selling products to multiple sales channels from that single source. Why has MSI been introduced? Due to the growing business, the sellers are required to have various inventory sources in multiple geographical locations. But managing all the inventory sources in the Magento was not possible before the MSI. Also, it is highly expensive and time-consuming task to deliver the goods from single warehouse system. What if you as a seller supposed to fulfill the order for Pune but you have a single warehouse in Gujrat. Now image the cost and time you will require to invest. It’s quite high, isn’t it? So, to eliminate these problems and enable the smooth logistics, the MSI concept has been introduced where the multi-source sellers can manage their multi warehouse inventory conveniently. Way before the introduction of MSI, multi-source inventory has always been very important in the e-commerce Marketplace business. Because in the marketplace, the same product is sold by more than one seller sellers. Therefore, making hard to manage the inventory of the same product by multiple sellers because each seller has different source inventory. The same problem comes while you are selling online and offline. However, our Point of Sales system already has the multi warehouse concept. Also, our Dropship module offers Multi-Warehouseehouse concept. But now using MSI as a native feature of Magento, we could manage inventory for each source more conveniently. Addition of this advanced inventory management feature has replaced the catalog inventory. Just like catalog inventory, MSI also has two attributes SOURCES and their STOCK details. We also fear the challenge that the MSI should not complicate the inventory management for single sellers. But if you are planning to expand your sources or warehouses. Then, MSI will enable you to manage the multiple sources simultaneously and scales with your expanding business needs and requirements. In the backend, the multi-source sellers will add the unlimited sources as per the requirement. The sources could be warehouses, physical stores, distribution centers etc. While configuring the sources, the multi-source sellers define the source information and the inventory available. Basically, add those sources which have available stock or the order fulfillment capability in the Magento system. And then, accordingly assign the sources to the products as per the requirement while adding or editing a product. For a placed order, a reservation will be made for the order product quantity from the available source inventory as purchased. And after shipment, the order product quantity is deducted from the actual source inventory from which the order has been shipped. The source selection for order shipment will be made based on SSA (source selection algorithm). The MSI reservation API track the product inventory and reserves the product stock rather deducting it from actual source inventory directory. Reservation concept is introduced to ensure that there will be enough stock available to fulfill the order by reserving some product quantity in stock. And after the order shipment, the product quantity is decreased. 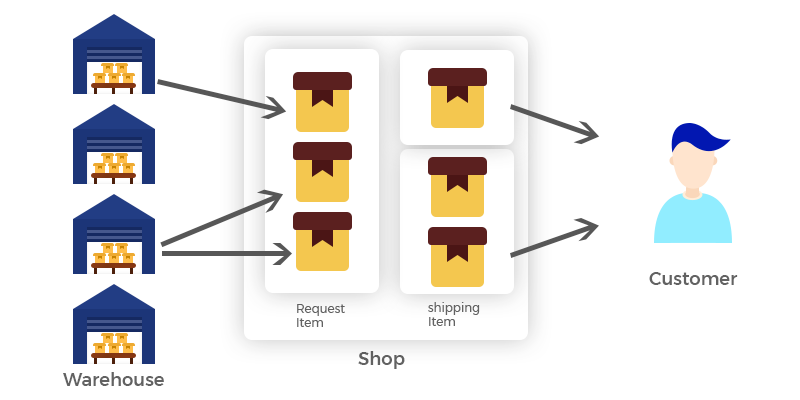 This basically improves the performance and avoid unnecessary inventory database locking during the order.